*T&C apply. Subject to availabilities. 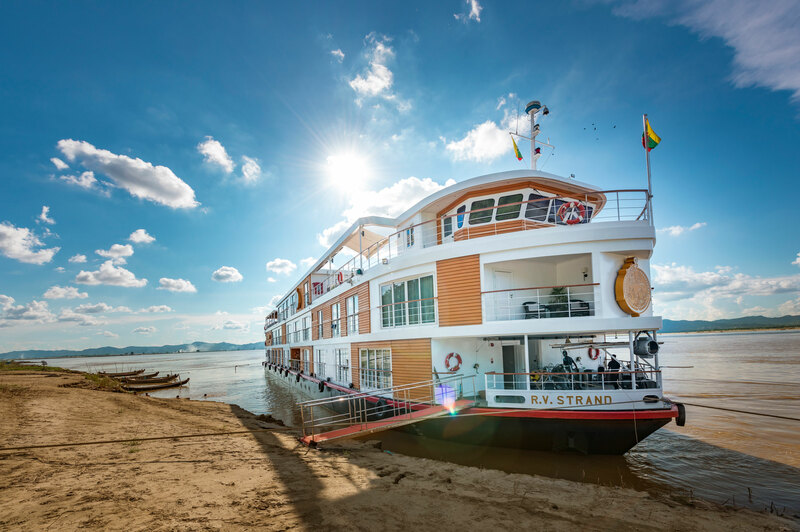 The 2-night Strand Cruise starts with breakfast overlooking the famous U-bein Bridge, allowing you the opportunity to meet fellow passengers before commencing the tour of the historical city of Mandalay, and discover Mahamuni Pagoda and the famous Shwe Bin Monastery, before sailing to Mingun, where we visit the Mingun Bell and Hsinbyume Pagoda. We set sail at sunrise, and enjoy a visit to the ancient capital of Ava, before the ship will disembark in Bagan. 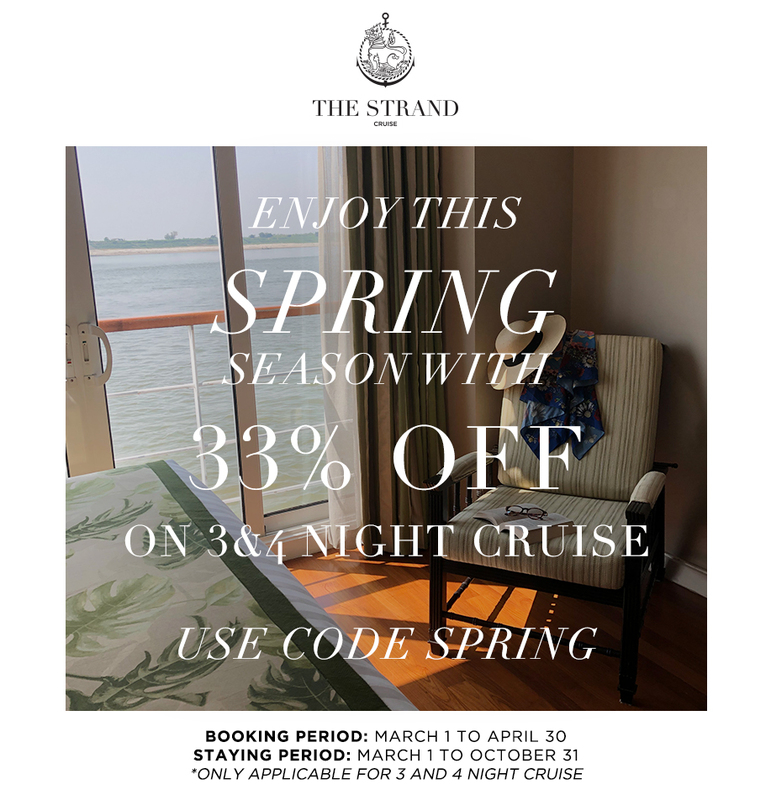 The 3-night Strand Cruise starts with breakfast overlooking the famous U-bein Bridge, allowing you the opportunity to meet fellow passengers before commencing the tour of the historical city of Mandalay, and discover Mahamuni Pagoda and the famous Shwe Bin Monastery., before sailing to Mingun, where we visit the Mingun Bell and Hsinbyume Pagoda. We set sail at sunrise , and enjoy a visit to the ancient capital of Ava, before continuing the journey to mystical Bagan. The fascinating ancient city of Bagan is the starting point of the four-night itinerary. A full day is spent exploring before the ship casts off on day two for a relaxing cruise upstream towards Mandalay, pausing on day three in Mingun, before mooring up to spend a final day discovering Mandalay, Myanmar’s second- largest city, and Ava, the ancient imperial capital of successive Burmese Kingdoms from the 14th to 19th centuries. Airy and plush, our two Strand Suites feature a king bed – convertible to two single beds – and floor-to-ceiling windows with a separate private balcony from which to sit gaze at the river and landscapes during the journey. Relax in total intimacy at the sitting area complete with sofa, armchair and low table or sit at the desk and compose a memoir of your journey.